Just in time for the holidays, the launch of the new Sony PlayStation 4 and Microsoft’s Xbox One. 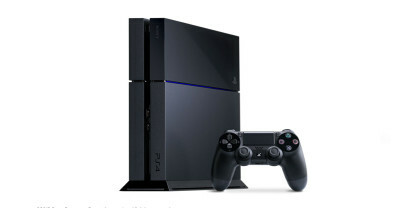 The PS4 hits stores November 15 for $399.99, with the Xbox One available a week later for $499.99. Teenagers across the country are already drooling over these new consoles. So which is better? Asurion asked 5,000 consumers what they thought and about half (48%) said they would be upgrading to one of these new consoles this year, and when asked which device they’d be purchasing, 61% planned to buy the PS4. But is it the better choice? Let’s take a look at some of the major differences. To start, AMD has powered both console’s hardware this generation, so do not expect a too much of a difference between the PS4 and Xbox One in this feature. Minor changes here for both consoles that have decided to stick to the basics from the previous generations. However, the better controller goes to the PS4 Dualshock 4 which features a touchpad to add a new way to control the games. There also is a headset jack and speaker within the controller. 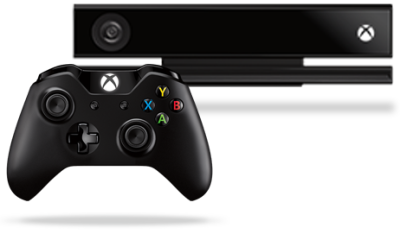 The Xbox One gets the nod with the camera and its Kinect system, as the PlayStation Eye only comes as an accessory. 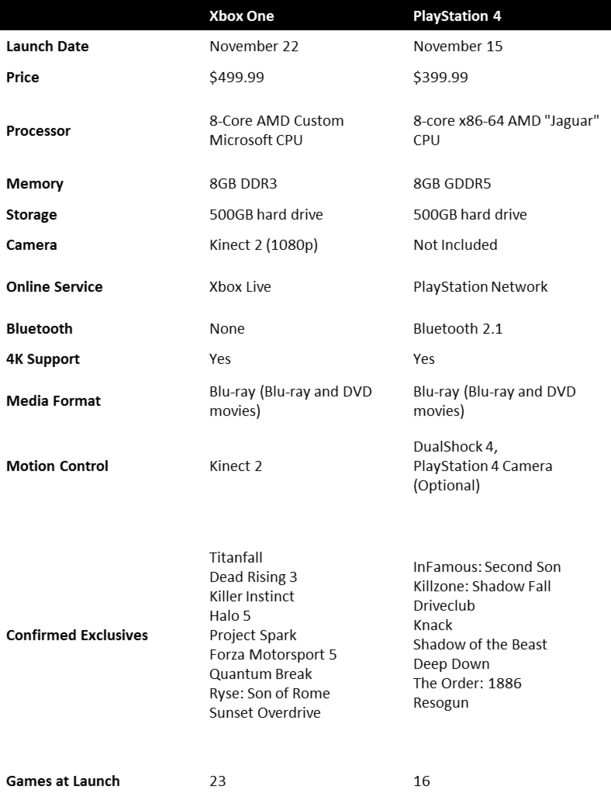 The Xbox One also boasts the super hyped “Xbox On” feature where users can verbally turn on the device without a remote or buttons. As far as media features go, both consoles now have the capability to play Blu-Ray discs. The online services are both similar, costing $50 each per year and including features like Netflix and Hulu Plus. Xbox takes it one step further with the option of syncing with your cable provider, allowing you to stream TV through your Xbox instead of a cable box. All this information begs the question, should you buy a warranty? The answer is yes. 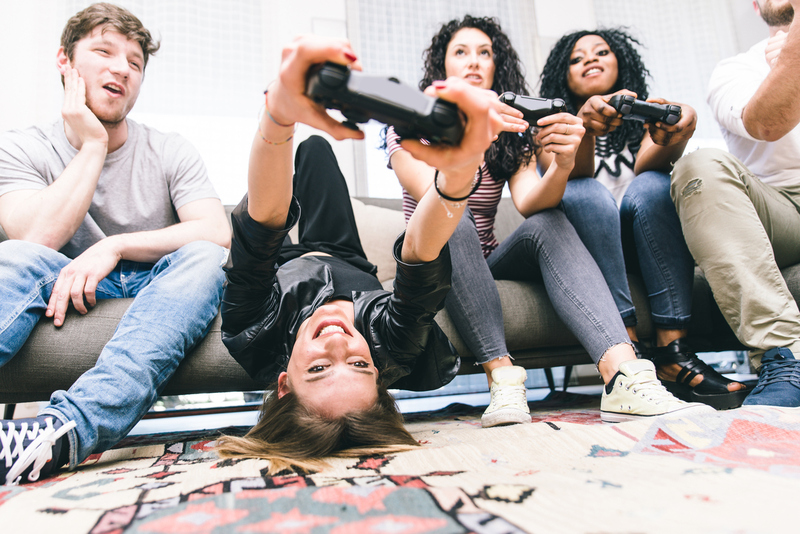 At $400-500 a pop, these gaming devices can take quite a toll on your wallet should some rough housing damage them, which according to Asurion data happens more often in November, December and January. Don’t risk it- ask your retailer about extended warranties.